The history of the Mount Nelson Hotel is intertwined with the early history of the Cape. The estate on which the hotel is built was named the Garden of van Oudtshoorn . It was granted to a Dutch Baron, Pieter van Oudtshoorn van Rheede way back in 1741 by the then Governor of the Cape. The piece of land adjoins the Company Gardens albeit seperated by a road these days. 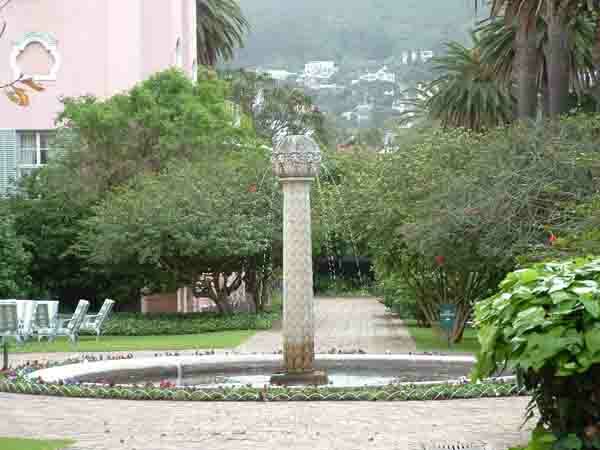 In 1890 a part of the Van Oudtshoorn garden was purchased by the Cape Land Company for its subsidiary the African Land and Hotels Limited with the purpose of building a hotel on it. At the time there were no hotels that met the standards of hotels used by the wealthy in Britain, at the Cape. Sir Donald Currie the chairman of the Union Castle Shipping Line whose ships brought the wealthy visitors to the Cape had no where for his passengers to stay and so he decided to rectify the situation. The idea of building the Mount Nelson was born and at Sir Donald's insistance was designed to emulate the finest hotels in London . On the 6th of March 1899 nine years after the land was purchased the hotel opened its doors to rave reviews from the press and wealthy patrons from abroad. Round about the time of the opening of the hotel, gold and diamonds had been discovered in South Africa and this made Cape Town an exciting destination as there were distinct business opportunities for those willing to take them. Unfortunately due to raids made by the British into the Boer Republics to get at the gold and diamonds there was a threat of war hanging over South Africa. The Boers were not prepared to take the raids lying down so both sides were preparing for war. The new hotel played its part in the run up to the war by hosting Boer and Brit as they tried to thrash out an agreement before war broke out. With the threat of war hanging over their heads the locals took the opportunity to entertain friends and family at the hotel. When hostilities began towards the end of 1899 Lords Kitchener, Buller and Roberts took up residence in the hotel while they discussed strategies to be applied during the war. Sir Winston Churchill who was a journalist and newspaper reporter at the time also spent time in the hotel. During the period of hostilities which continued until 1902 the hotel played host to many officers and soldiers visiting South Africa to plan the war effort. From 1902 until 1914 peace reigned in South Africa and the hotel continued to entertain and host wealthy visitors from Europe. Then in 1914 hostilities broke out again with the start of the First World War. The Mount Nelson Hotel once again played host to British army officers and soldiers for the duration of the war. When the war ended in 1918 the hotel reverted to its peace time role of entertaining wealthy visitors to Cape Town. To join in the spirit of renewal after the debilitating war the hotel decided to change its colour scheme which had at first been a combination of pale yellow and green, then later a mix of ochre and oxblood red, to pink, a colour it still bears today. 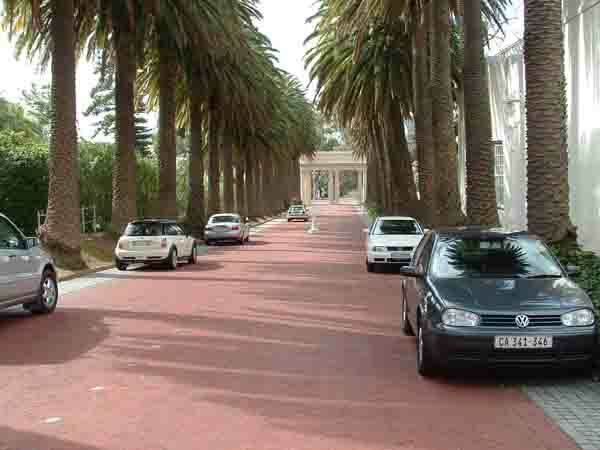 In 1925 with the planned state visit of the Prince of Wales to Cape Town it was decided to celebrate the event by building a new gateway and palm tree lined driveway in the prince's honour. Both the driveway and the gate are still in use today. Peace reigned in Cape Town from 1918 to 1939 when once again the ravages of war struck the world and affected the Mount Nelson Hotel. The hotel however survived and when the war ended in 1945 it was business as usual again. With the cessation of hostilities a mood of optimism hit Cape Town. A building boom occurred and wealthy visitors from abroad poured into the Cape as the shipping lanes were once again safe from the ravages of the german submarines. Tourism to the Cape grew in leaps and bounds and the Mount Nelson Hotel decided to modernise itself to keep pace. A number of new bedrooms were built and the hotel's dining areas were upgraded. The Mount Nelson became the first hotel to install a heated swimming pool for its guests. Since the 1950's the hotel has continued to upgrade itself to keep up with modern trends required by the hotel industry.. Today the "Nellie " has in excess of 400 rooms which are divided into different categories to cater for different budget requirements. Included in the above are 10 large luxury suites which include a two bedroom penthouse suite. To keep up with the standards required by a five star rating all rooms and suites in the hotel are equipped with individually controlled air-conditioning units, a mini bar fridge, luxurious cotton linen and non-allergenic foam pillows, luxury bathrooms and a list of smaller items to numerous to mention here. The hotel also boasts two heated swimming pools, a body care centre, hair salon, gymnasium, golf practice net, floodlit tennis courts, gift shops, a travel desk, a fully equipped business centre, two restaurants and a bar. 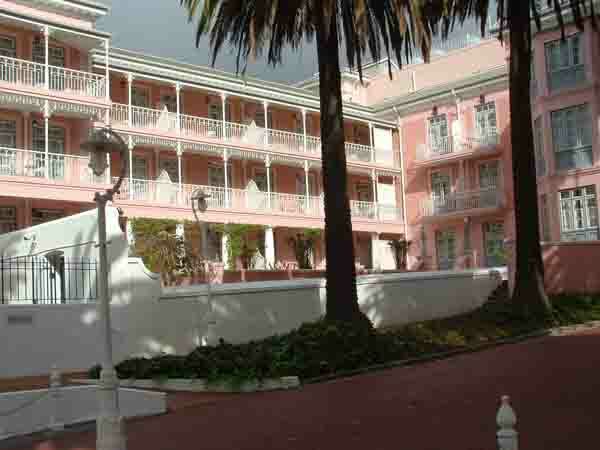 Although the Mount Nelson is over a 100 years old, it has managed to keep itself up to date with modern trends and is still the first choice hotel of many overseas visitors to Cape Town. Being a five star hotel aimed at attracting the upper end of the market the not so wealthy do not always get an opportunity to visit the Nellie. However there is a way of enjoying time at the hotel by booking for one of the world famous teas offered each day. On offer are cucumber sandwiches and quiches, savoury tarts and cheeses, petit fours, iced cakes, chocolates, fruit tartlets and hot berry compote served with a pot of Earl Grey, China, Indian, Herbal or whatever tea takes your fancy. What a way to spend an afternoon! After enjoying the goodies on offer tea at home will never be the same again. 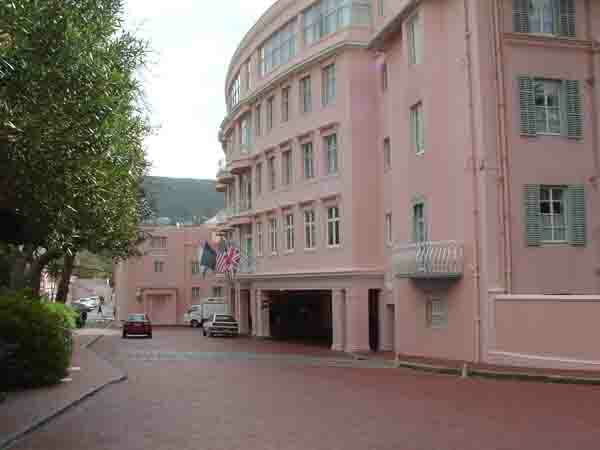 The Mount Nelson is the old lady of Cape Town and looks forward to catering to your every need. Why not make it your hotel of choice on your next visit to the Cape.